We are all different; every one of us is a unique individual. So, “one size fits all” never works. That is why we have such a bewildering number of various diets being proposed: high carbohydrate/low carbohydrate, high fat/low fat, high protein/low protein, all raw/all cooked, etc. ; and the interesting thing is that every diet suits some people and does not suit others. Why is that? Because “it takes two to tango”, which means that there is no such thing as a bad food per se or good food per se without taking into account a very important factor, who is eating it! Not only who is eating it, but what state that person is in. Let’s try and understand this in more detail. We all have different heredity and constitution. If your predecessors were Vikings or Eskimos, then chances are that you will generally need to eat lots of fish, meat, and fat. But if your predecessors came from a Mediterranean culture or some tropical area of the world, then you will probably need more carbohydrates in your diet. Ancient Chinese and Ayurvedic medicines try to classify different constitutional types of people, and would not dream of applying diet or herbs without this knowledge, as different constitutional types need very different approaches. Constitution is just one factor. There are many more. Throughout our lives, our bodies go through anabolic/catabolic cycles, in other words, cycles of building itself up and cleansing itself. There is a daily building/cleansing cycle, a seasonal one and ‘as-it-is-necessary’ ones which can happen at any time. For building itself, your body needs very different nutrients from those it uses for cleansing itself (animal foods are generally building, while plant foods are generally cleansing). Only your body knows what it needs at every moment of your life. Depending on what your body is doing at the time, depending on the season of the year, on the weather and the level of stress you are under, your body can switch between different ways of energy production: using glucose for example or using fats. Only your body knows what is appropriate at any particular moment of your existence, and it requires very different nutrients for different patterns of energy production. We all have an autonomic nervous system, which is responsible for all the “autopilot” functions of the body: for your heart beating, for your blood circulating, for your digestive system feeding you, etc. The autonomic nervous system is made out of two branches: a sympathetic nervous system and a parasympathetic nervous system. These two systems generally work in opposition to each other providing a very complex balance in every function of the body. Again, depending on an infinite number of factors (daily cycle of activity and sleep, season, weather, stress, infection, feeding/cleansing, your occupation at the time, etc.) you will shift from being “sympathetic dominant” to “parasympathetic dominant”. This shift can happen several times every day, every few days, every season and it is different in different age groups. The important thing is that these two branches of our nervous system require very different sets of nutrients to be fed: one likes meat and fat, while the other needs more carbohydrates. Only your body knows what proportions of protein/fat/carbohydrate it needs at any given moment of your life; no laboratory or scientist will be able to calculate this for you. Then there is the acid/alkaline balance in the body, which again changes all the time every day depending on many factors. There is a myth in nutritional circles that “being acid is bad” and that all of us have to strive to be alkaline all the time. Different foods have been classified to be “alkalizing” (such as fruit and vegetables) or “acidifying” (such as grains and meats). This simply is not true. Your body shifts from alkaline to acid states all the time depending on many factors: activity of your autonomic nervous system, the type of energy production at the time, your hormonal profile at the time, respiration, kidney function, many of which in turn change according to daily cycle, season, weather and your activity. Depending on all those factors, an apple, for example, which is considered to be an “alkalizing” food, can make your body acid, and vice versa, a piece of meat, which is considered to be “acidifying”, can make your body alkaline. Only your body knows how to use foods at any given moment of your life; only your body has the inner intelligence to make these impossibly complex calculations. As if that is not enough, then there is the water and electrolyte balance in the body, which also shifts all the time depending on many factors. Our mainstream medicine pronounced salt to be “evil” and recommends reducing its consumption. Processed salt should not be consumed just as all processed foods should not be consumed (as these things are unnatural for human physiology and should not be called “food”). However, natural unprocessed salt (such as Himalayan crystal salt or Celtic salt) contains more than 90 minerals and not only is good for us, it is essential for our bodies to maintain the right water/electrolyte balance. Then there is the myth that we need to drink lots of water every day, even different amounts in liters-per-day are prescribed in nutritional literature. Following that advice blindly can get you into a lot of trouble, if your body is low on electrolytes and needs salt instead of water. No matter how clever we think we are, we cannot calculate how much salt or water we should consume at any given time: only your body knows that, and it has excellent ways of telling you what it needs – thirst for water, desire for salt or any particular food, which may have the right mineral composition. Make no mistake, your body knows the nutrient composition of foods on this planet. These are just a few factors to demonstrate to you that no laboratory, no clever doctor or scientist and no clever book can calculate for you what you should be eating at 8am, or 1pm, or 6pm or in between. Only your body has the unsurpassed intelligence to figure out what it needs at any given moment of your life, as your nutritional needs change all the time: every minute, every hour and every day. So, what do we do? How do we feed ourselves properly? The answer is: get back in touch with your body’s inner intelligence. Just think: if your body needs so much protein right now + so much fat + so much carbohydrate + so much of vitamin B12 and so much of vitamin C, how would it let you know that it needs this particular composition of nutrients? And even if your body had a way of letting you know all this information, how would you go about providing this mix of nutrients? How are you to calculate all those factors and provide the right amounts? Well, Mother Nature is kind and it is not asking us to do anything so complicated. Instead, it gave us senses of SMELL, TASTE, DESIRE for a particular food and a sense of SATISFACTION after eating it. So, when your body needs a particular mix of nutrients, it will give you a desire for a particular food, which contains just that right mix; this particular food will smell divine to you and taste wonderful, and you will feel satisfied after eating it. But in an hour or two, the needs of your body will change, and that particular food will not be appealing anymore for you; instead, you will have a desire for another food, which nutritionally will serve you correctly for that particular moment of your life. So, the only way for us to serve our bodies properly with the right food is to be in touch with our senses! Let us think about it a little more. The word “desire” has somewhat a negative feel for many people thanks to centuries of religious and political conditioning, desire is considered to be something we “have to resist” and must not “succumb to”. Yet, desire for a particular food is the main way your body tells you what it needs at any particular moment nutritionally. So, when you get hungry stop and think: “What would I desire to eat right now? What is the most appealing food for me right now?” Forget about all the books you have read, forget about all the nutritional mantras of what you have to eat at a particular time of day, and just ask the question. The answer will come immediately, and just the thought of that particular food will fill your mouth with saliva. Respect your desire! Desire is your inner body intelligence talking to you, letting you know what it needs to keep you healthy, energetic, and happy. If you listen to your desire every time you eat, you will be able to digest that food well and it will do you only good, because you have eaten it at the right time, just when your body asked for it. The trouble is that in our modern commercial world people’s desires for food have been manipulated through the use of addictive and taste-altering chemicals in processed foods. Yes, many processed, so-called “foods” contain chemicals specifically designed to make them addictive. Listening to your desire only applies to natural foods—foods that Mother Nature has designed. Stop eating processed foods and your normal sense of desire for food will return. Have you ever observed animals? They will never put anything in their mouths without smelling it first. Why? Because wild animals are fully in touch with their instincts—their inner body intelligence. A sense of smell gives your body a lot of information about the food: is it safe to eat, has it been contaminated by chemicals or microbes, is it fresh, and most importantly, is it appropriate for your bodily needs at the moment? So, before putting anything into your mouth smell it: if it is the right food for you at the moment, it will smell very appealing. If it is not the right food, it will smell repulsive. Respect your sense of smell and listen to it. The trouble is that many people in our modern world have a damaged sense of smell due to use of synthetic perfumes. All smelly man-made chemicals, such as laundry detergents, domestic cleaning chemicals, so-called air fresheners and perfumes block the olfactory receptors (the smell receptors) in your nose. Your nose has a set number of olfactory receptors, and once they are blocked by a chemical, new molecules of that chemical coming in have nothing to attach to, so you cannot smell it anymore. We all have met people who smell like a perfume factory, but they do not realize just how excessively they apply their perfume onto themselves, because they cannot smell it anymore, their smell receptors in the nose are blocked with that chemical. The same happens with common laundry detergents, which use very powerful perfumes in order to disguise the unpleasant smell of the detergent itself. People who use them regularly are unable to smell them anymore because these people are exposed to this smell all the time from their clothes, towels and bedding. These people cannot smell their food properly either, as their smell receptors in the nose are permanently occupied by their laundry detergent. To restore your sense of smell, remove all smelly/perfumed chemicals from your environment: replace your laundry detergent with a non-scented natural one and do not use any perfumes, scented personal care products or air fresheners. In a few weeks’ time, your olfactory receptors will clean themselves up and your sense of smell will return. Food is one of the greatest pleasures of life, and so it must be! If the food is not pleasurable, then it is the wrong food for you at the moment (no matter how “healthy” it is supposed to be)! So, listen to your sense of taste and respect it! It is your friend as it is one of the channels of communication between your body’s inner intelligence and your conscious mind. 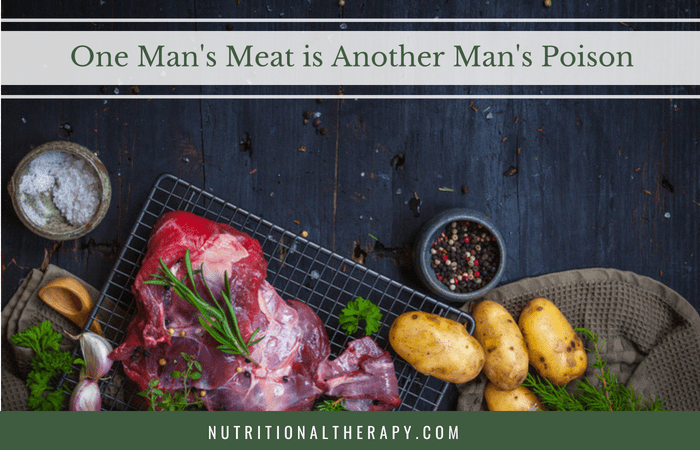 How else would your body tell you that it needs a particular mix of nutrients, but by giving you great pleasure from consuming them in the form of food? The trouble is that many people have an altered or dulled sense of taste due to regular consumption of processed foods. Many processed foods contain taste-altering chemicals, which are deliberately added to the “food”. These chemicals are not only toxic, but can alter your perception of taste for a long time, so it is essential to stop consuming processed foods in order to restore your normal sense of taste. Many nutritional deficiencies can alter the perception of taste (zinc deficiency is particularly known for this). As you start consuming a natural wholesome diet your nutritional deficiencies will diminish and your sense of taste will return. Toxins in your mouth can also alter your perception of taste. Try to brush your teeth with cold pressed olive oil (or any other cold pressed oil) instead of toothpaste: this Ayurvedic procedure has a good record in detoxifying the mouth. Working with a holistic dentist is very important, as many dental materials in the mouth can make it toxic and alter your sense of taste. If you have eaten a meal appropriate for your body’s nutritional needs at the time, you will feel fully satisfied. There will be no cravings for something else, only a nice comfortable feeling of satisfaction, which will allow you to focus on other things in your life and forget about food for a while. It is important not to overeat, so you don’t feel “stuffed”. However, if you listen to your sense of pleasure from food, then you will not overeat, because you would stop eating as soon as the food stops being pleasurable. Pleasure on/pleasure off are the signals your body gives you to let you know about its needs. Your sense of pleasure will keep you eating as long as your body still needs the nutrients from that particular food; as soon as your body had enough of those nutrients, the food will stop giving you pleasure. Cravings for sweet foods are common amongst GAPS people due to unstable blood sugar level. It takes time to normalize blood sugar and the most effective way to deal with it is to increase your fat consumption, particularly animal fats (within your pleasure zone, of course). So, consume plenty of animal fats with your meals. In order to keep your blood sugar at a stable level between meals make a mixture of raw butter (or coconut oil) with some raw honey to taste, put it into a glass jar which you can carry with you, and eat a few spoonfuls every 20-30 minutes all day. This measure can be very helpful in the initial stages of the treatment. As your blood sugar regulation will normalize through the use of the GAPS Nutritional Program, you will be able to gradually reduce and stop eating the butter/honey mixture. How do we do apply this wisdom while on the GAPS diet? The GAPS Diet is not set in stone; you have to adapt it for your unique body, for its unique daily needs. The GAPS diet gives you the list of foods to work with. When you eat these different foods and in what proportions is up to you. Listen to your body’s needs, communicated to you through the senses of desire, smell, taste, and satisfaction. For example, one day you may feel like only an apple for breakfast, but tomorrow you may enjoy a large cooked breakfast made from eggs, bacon, sausages and a salad. For example, on the first day you were very happy just to drink meat stock and eat some cooked chicken, but next day you do not feel like meat or meat stock at all and are much happier to eat vegetables and yogurt. Your body will let you know what proportions of protein, fat, and carbohydrate to have at every meal. How? Through desire for particular foods; so when you sit down to a family meal, eat only what appeals to you at the time, and in the amounts that appeal to you. It is essential to listen to your body’s desires when you are following the GAPS diet— the Introduction Diet or the Full GAPS Diet. Your desires will let you know how quickly to move through the stages of the Introduction Diet. It is possible that you would have to eat something not allowed on a particular stage if you really desire it, because that is what your body requires at that time, and you have to respect it. You are unique and nobody can prescribe the right sequence of food introduction for you. If you were following the GAPS Introduction Diet to a letter and felt well, but then one day you get a strong desire for, let’s say, raw tomatoes (which are not included into the plan), then listen to this desire! This is your body telling you that it needs particular nutrients at this particular time, and raw tomatoes will provide them. If you deny your body that need, you may get yourself into trouble: your electrolyte balance may get upset or your hormones may not work well, or something else will not work. Yes, you would have “cheated” on the diet by eating tomatoes, but once that particular need of your body has been satisfied, you can continue with your programme. Any progress goes through two steps forward then one step back, and healing is no exception. So, don’t worry about “cheating” on the diet sometimes if your body has really asked for it. This is not cheating; this is working with your body and respecting it. Remember, your body knows infinitely more about itself than we will ever know with all our intelligence and science! Remember also that your body’s nutritional needs change all the time. So, your desire for foods will also change all the time: what felt wonderfully satisfying for breakfast may not be appealing for lunch, and what was delicious in the afternoon may feel repulsive at dinner time. All these feelings are very valid and should be listened to! You are a unique individual, so what suits one person around the table may not suit you at all. How do we apply this to children on GAPS diet? As parents, we have to make decisions for our children. GAPS children have altered senses of smell, taste, and desire for foods, and they may have severe cravings and addictions to the very foods that harm them. The cravings and addictions usually are to processed foods; as we start the GAPS Nutritional Protocol we remove all processed foods, and as a result, your child may go through a period of withdrawal with all sorts of symptoms (behavioral and physical). This is important for the parents to understand in order to help the child to go through this difficult period: your child’s body is stuck in a diseased metabolic state, so it demands particular unhealthy foods to maintain and serve that state. So, unless we want to maintain this diseased metabolic state, we cannot allow the child to have those foods. Shifting the child’s body to a healthy metabolic state will take time and effort, and the GAPS Nutritional Programme will do it for you. So stick to the list of foods allowed on GAPS diet. However, within that list, try to provide a large enough variety of foods for the child to choose from (when the state of withdrawal is more or less over!). It is very important for your child to start using the senses of desire, smell, taste, and satisfaction. Your child will need time to learn to use these senses and to discover them in the first place, as in a diseased metabolic state these senses were suppressed and perverted. So, fill your house with GAPS food and allow your child to pick and choose (within reason of course). Allow your child to explore food the way he or she wants to, eat it with his or her hands, eat it cold or warm, eat it at a meal table or graze on it all day. It is essential for any child (GAPS or healthy “normally” developing child) to develop a healthy relationship with food right from the beginning of their lives. Unfortunately, in the Western world in many cases that do not happen. It is very upsetting to see some mothers in the Western world working intently on the child’s table manners, while not putting any effort into preparing a decent meal for her child (serving some microwaved, processed concoction). A combination of poor quality food and heavy pressure on eating that “food” with the best table manners can put anybody off food, let alone a small child! In order for the child to develop normal senses in relation to food the child needs natural healthy foods full of flavor and taste; and the child must be allowed to explore that food on his or her terms (eating it with their hands, making a mess, enjoying it). Table manners can come later when the child has developed natural food senses of desire for food, smell, taste, and satisfaction from food, which will serve your child’s body well for the rest of his or her life. In conclusion: Mother Nature took billions of years to design the human body; it is an incredibly intelligent creation! As the natural foods on this planet have been designed during the same time, your inner body intelligence knows their composition and knows what foods to choose for particular needs. All we have to do is treat this intelligence with respect. Use your senses of smell, taste, desire for food and satisfaction from eating it to guide you in your decisions: when to eat, what foods to eat and in what combinations. And remember: you are unique, so what suits your neighbor may not suit you at all. Natasha Campbell-McBride holds a degree in Medicine and Postgraduate Degrees in both Neurology and Human Nutrition. In her clinic in Cambridge, she specializes in nutrition for children and adults with behavioural and learning disabilities, and adults with digestive and immune system disorders. This post originally appeared in The Nutritional Therapist in Fall 2011.